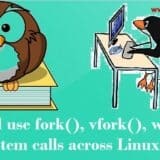 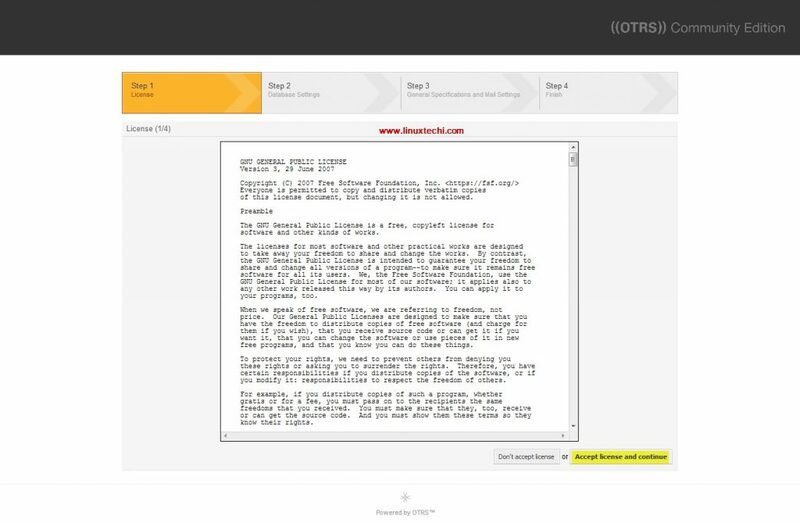 OTRS is a free and open source ticketing tool available for Linux like operating systems. 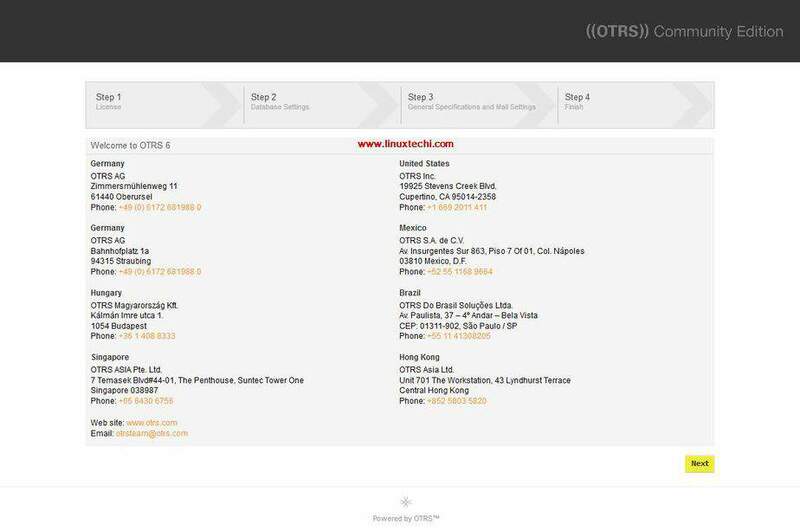 OTRS stands for “Open Source Trouble Ticket System“. In opensource world it is one of the most popular trouble ticketing tool used by help desk, call centers and IT service management team in various organizations. 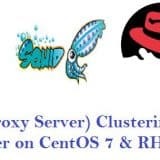 In this article we will demonstrate how to install and configure OTRS 6 (Community Edition) on a CentOS 7 & RHEL 7 System. 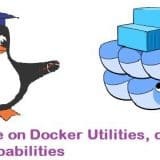 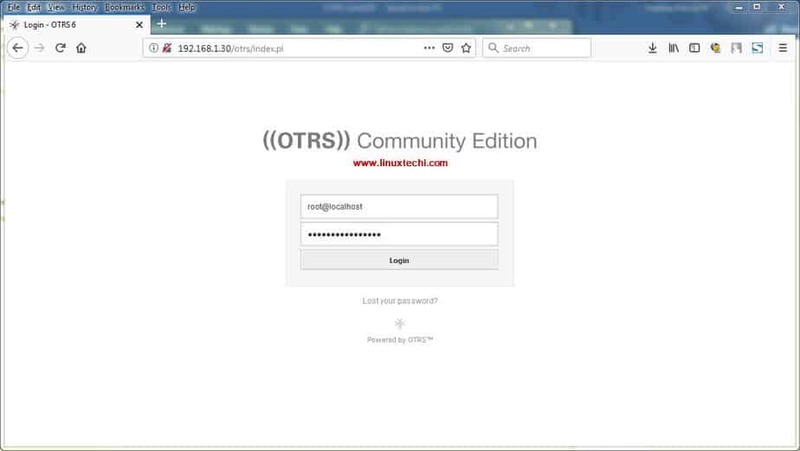 To Install OTRS community edition on a Linux system we need one database server (MariaDB, MySQL & PostgreSQL), Web Server (Apache & Ngnix) and Perl modules. 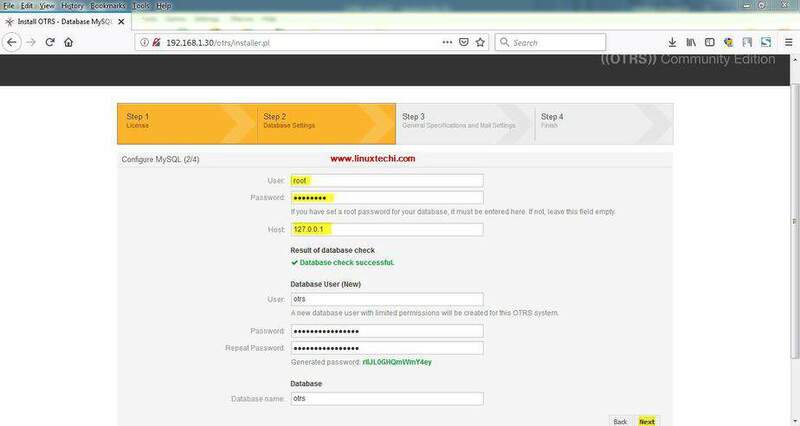 Note: Put SELinux in permissive mode, even OTRS official web site suggests to disable SELinux, execute the below command. 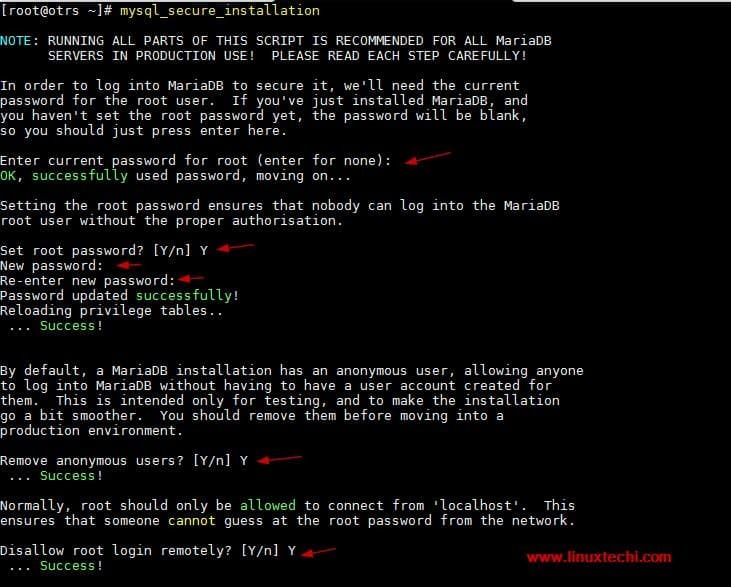 Configure the root password of mariadb database, remove the test database, remove anonymous users and disable root login remotely. 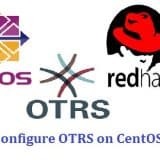 At time of writing of this article community edition of OTRS 6 is available, use the below yum command to install it from command line. 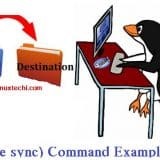 In case OS firewall is running and enabled on your system then execute the following firewall-cmd command to allow http (80) and https (443) port, else you can skip this step. 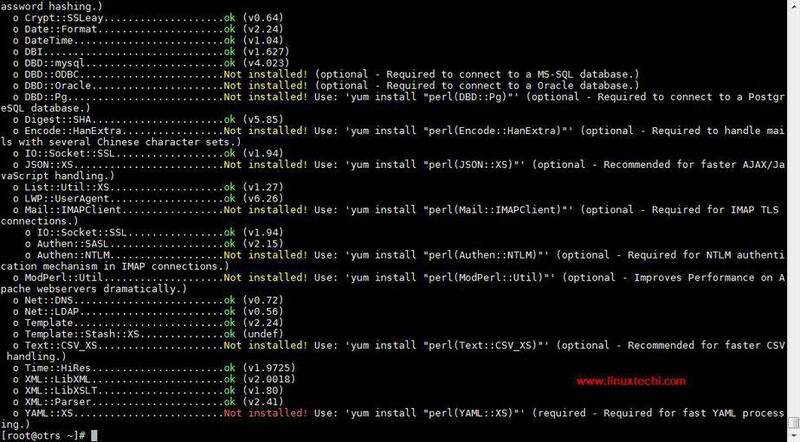 As we can see above there are number of perl modules which are not installed. 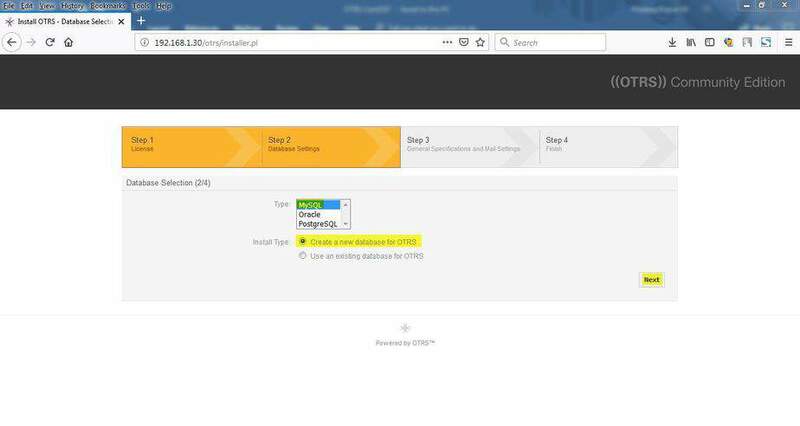 So to proceed with installation first install the missing perl modules. Re-run the command “/opt/otrs/bin/otrs.CheckModules.pl” to verify whether all the required perl modules are installed successfully or not. 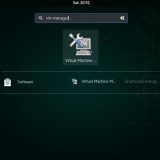 In the next window specify the root password of mariadb database server, host where mariadb is running and rest of the things installer will automatically pick like OTRS database name, user name and its password. 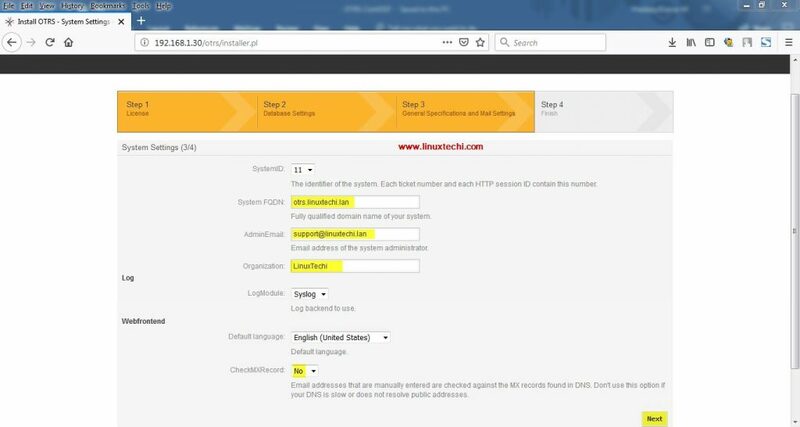 Specify the FQDN of your OTRS server, admin email address, Organization and Choose “No” against CheckMXRecord option in case your domain don’t have MX record . 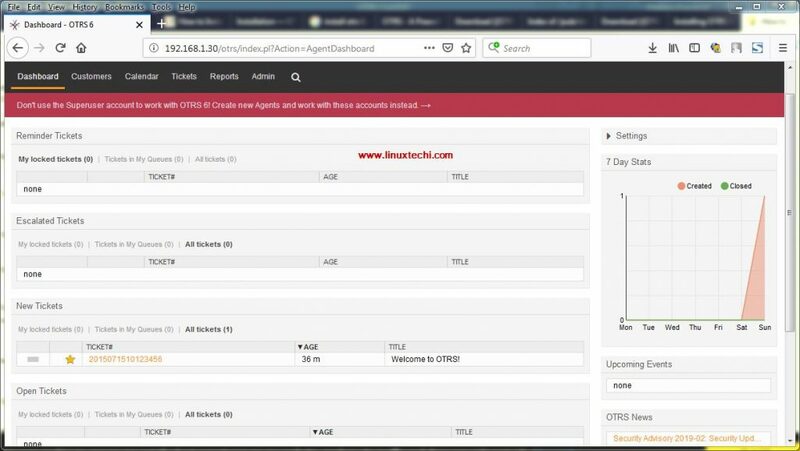 In Next window you will get message that OTRS has been installed successfully, OTRS Start Page URL, user name and its password. Now it’s time to access your otrs startup page, type the following URL in your web browser. Use the user name as “[email protected]” and password which is displayed in above step. 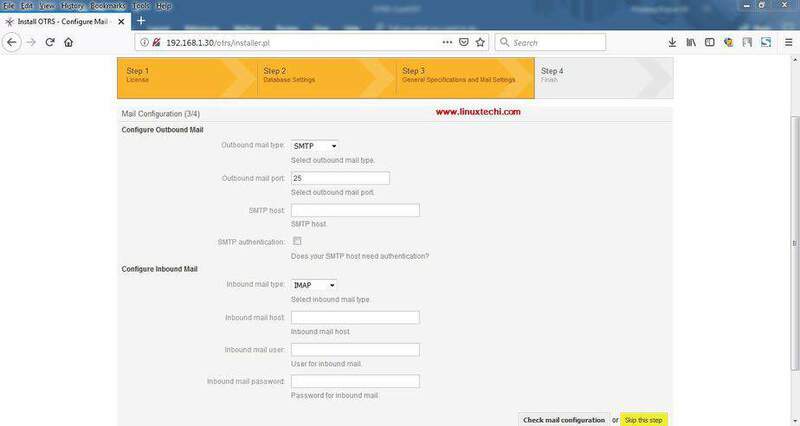 Replace the IP address that suits to your environment. Manage the OTRS daemon process. 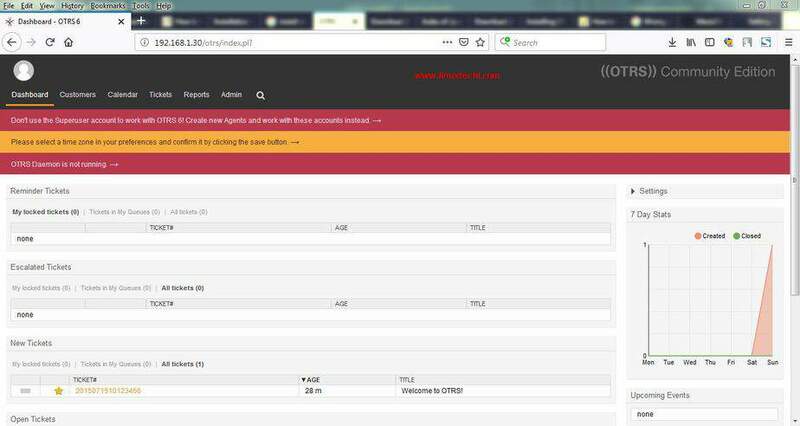 Now refresh the page, “OTRS daemon not running” message should go away. 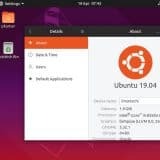 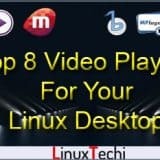 This confirm that Community Edition OTRS 6 has been installed successfully, that’s all from this article, please do share your feedback and comments in the comments sections below.